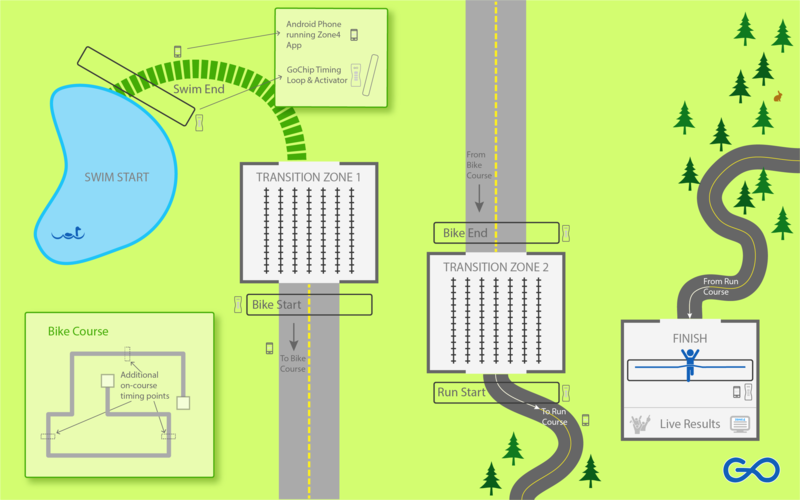 The ultimate triathlon timing solution. GoChip is highly accurate, ultra-reliable, waterproof, and can be worn anywhere. One of an elite few timing products certified by the International Triathlon Union (ITU) to time internationally televised multi-sport events! Triathlon events come in many flavors, and GoChip is the ideal timing solution for all of them. Whether your event is big or small, a Tri-It event or the World Triathlon Series, GoChip times it all flawlessly and affordably. What do I need to time a triathlon? 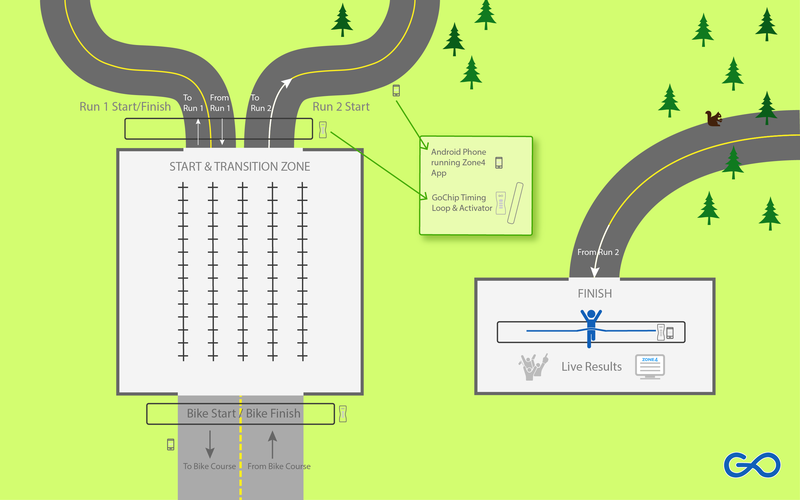 Below are a few popular triathlon and duathlon race setups. 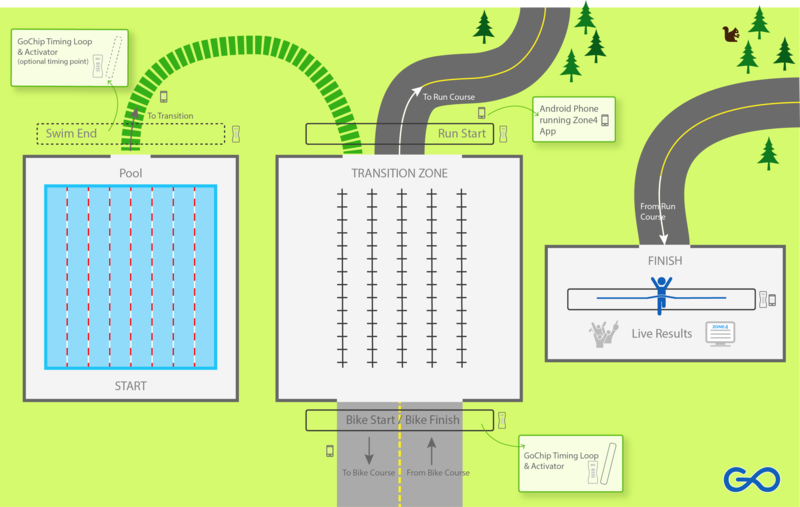 Zone4 can support combined or separate transitions, pool or lake swims, shared courses between triathlon & duathlon, bike & run laps, and almost any other type of setup you can imagine! Zone4 App to record start times.